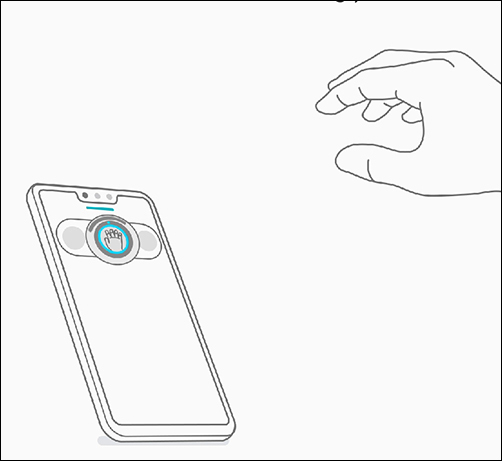 When turned on, Air Motion allows you to control your device without touching it via motions and gestures. Only the following multimedia apps work with Air Motion (supported apps subject to change): Netflix®, YouTube™, Naver TV, MX Player, Amazon® Prime Video, M-Net, YouTube music™, Melon, Bugs, SoundCloud, Pandora® Radio, iHeartRadio, Spotify® and Amazon Prime Music. From a Home screen, navigate: Settings > Extensions > Air Motion. From the ADVANCED section tap the Show hand guide switch to turn on . 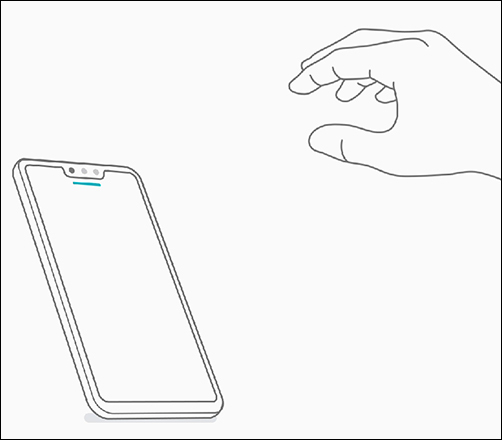 When turned on, a hand guide helps you with setting up gestures. Tap the Shortcut and capture switch to turn on or off . Selected when teal dot is present. Tap the Back arrow icon (lower-left) to return to the Air Motion screen. For additional assistance with setup, tap the Help (TIPS) section to view FAQs or scroll down then tap 'Watch Air Motion video tutorial'. 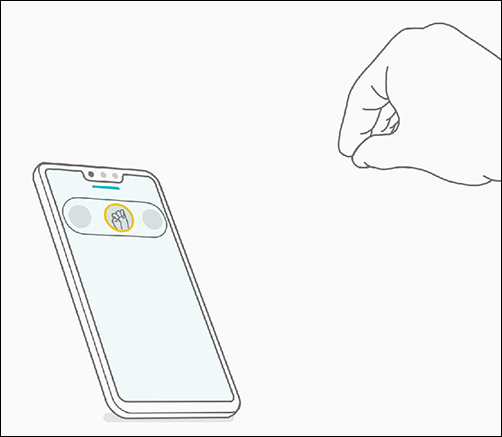 From a Home screen, place your hand approximately 3-5 inches away from the front camera to turn on. Bend your fingers into a claw then slowly move your hand approximately 6-8 inches away from the camera. Wait for the 'hand guide' overlay to appear. To take a screenshot, pinch all fingers together. 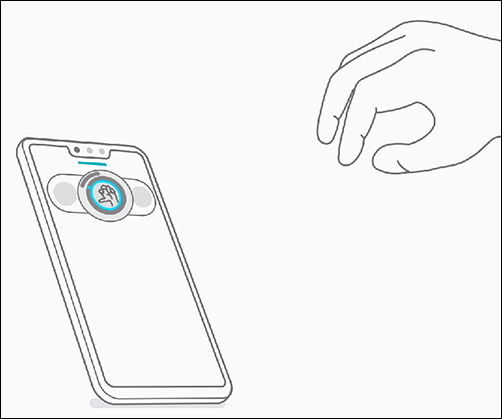 Use your hand to control when playing music and videos. Tap the Control music and videos switch to turn on or off . When turned on, tap the applicable switch(es) (e.g. Music, Netflix, etc.) to turn on or off. 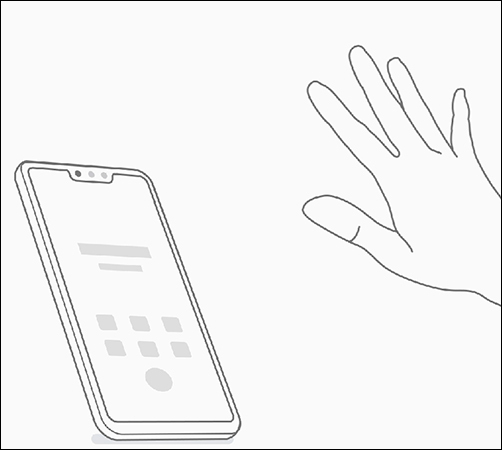 From a Home screen, place your hand approximately 3-5 inches away from the front camera to turn it on. Bend your fingers into a claw and place hand approximately 6-8 inches away from the front camera. To pause or play music, swipe left or right. Bend your fingers into a claw for volume controls. Turn your wrist as if you're turning a volume knob to adjust volume levels. Swipe left or right to answer and end calls and stop alarms and timers. 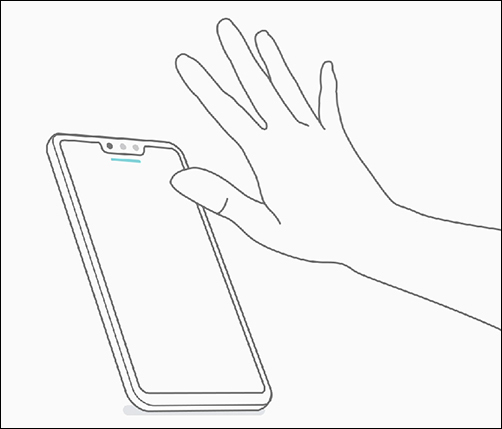 From a Home screen, bend your fingers into a claw then place your hand approximately 6-8 inches from the front camera. 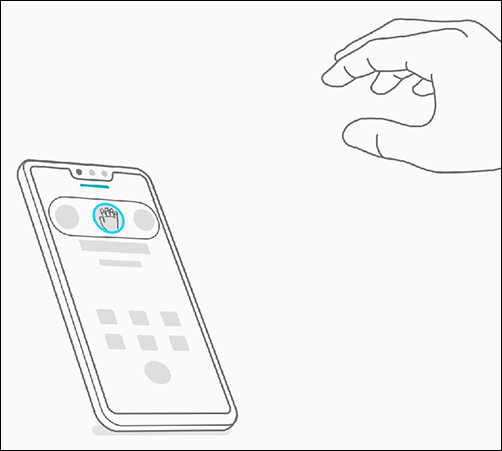 To end a call, place your hand 3-5 inches away from the front camera to turn Air Motion on. 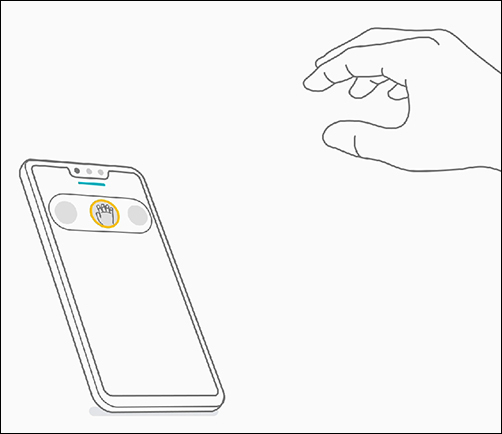 Place fingers approximately 6-8 inches away from the camera and swipe left or right to end a call.